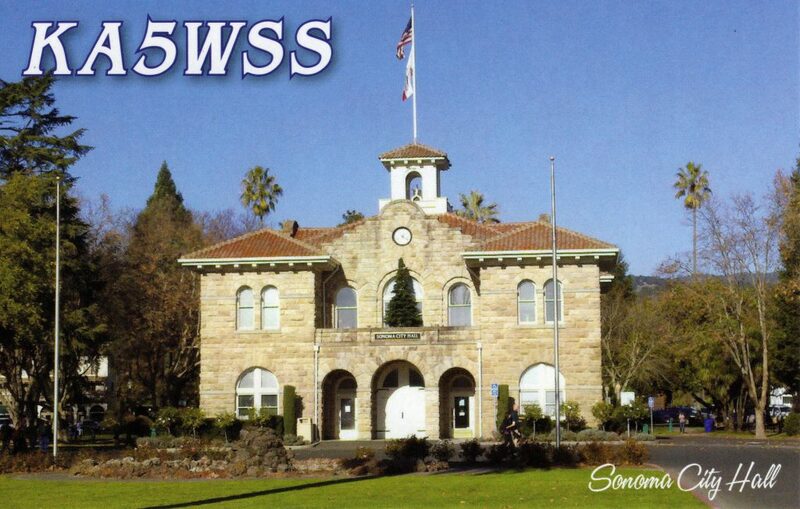 My latest card, featuring the town of Sonoma’s City Hall. 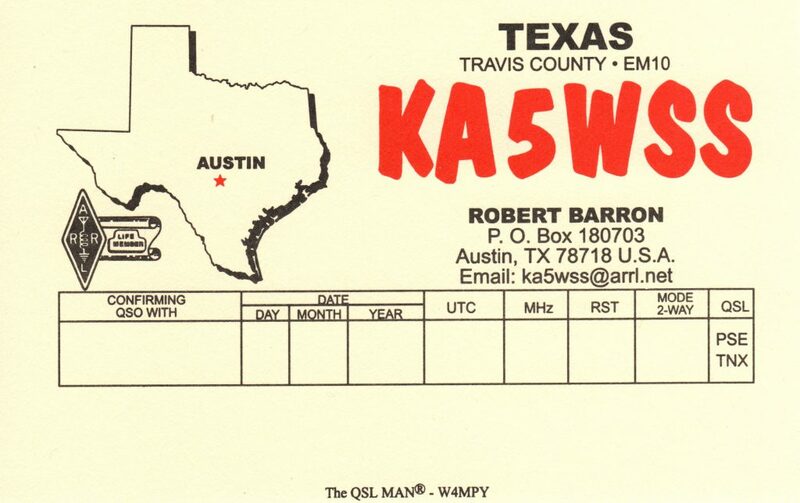 Once settled in Austin, this was my card for most of time as a Ham. 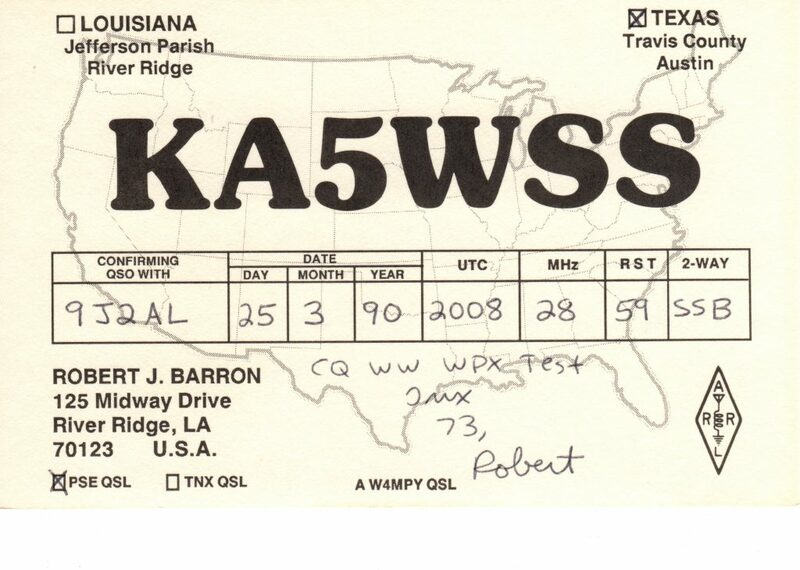 My first QSL card, crafted to allow its use whether I was in Texas for school or back at home during the summers.